« Whole Genome Sequencing: Mutation Diagnosis of the Future!? 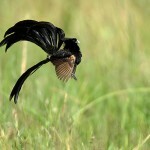 One very amazing example of this is the Widowbirds that live in the grasslands of southern and eastern Africa. During the non-mating season, the males and females look very similar to one another. 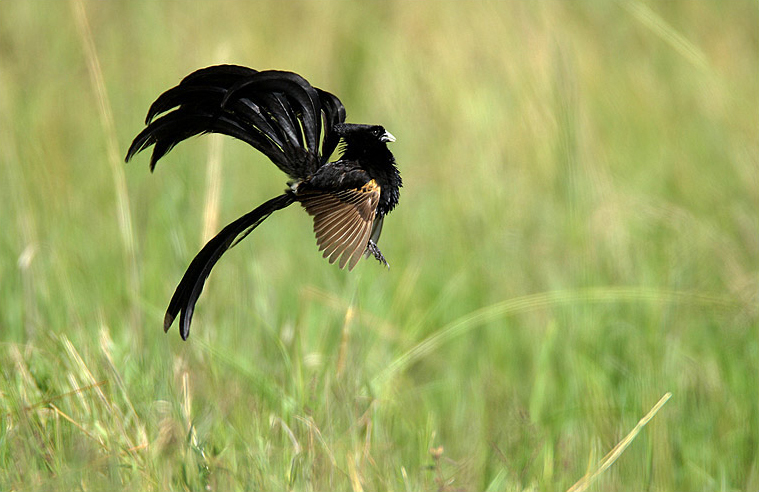 Once breeding season begins, the males molt and produce long black feathers, some that can be up to half a meter in length. Studies have been done where feathers have been glued on to some males, and females chose these males over others with shorter tails. You also have to wonder why the tails don’t get even longer. That even though females desire very long tails, if they get too long, they could hinder the flight of the birds, which would decrease their fitness. Other examples that might be more familiar to you are the elaborate feathers of male peacocks, and the beautiful plumage of male birds. Print article This entry was posted by admin on April 1, 2010 at 9:41 am, and is filed under DNA Interactive. Follow any responses to this post through RSS 2.0. You can skip to the end and leave a response. Pinging is currently not allowed.